“Mini 4WD” exceeding 35 years since birth. 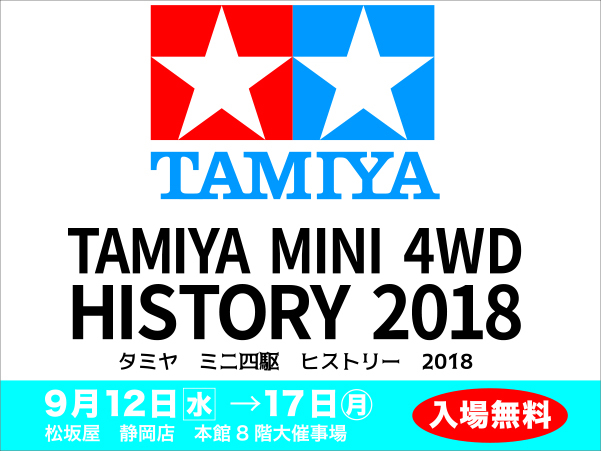 We will exhibit Tamiya’s “history and now” that has created “fun to make” on the concept, easy to understand for beginners. A corner introducing the history of 30 years of the nationwide convention of the largest certified competition “Mini 4WD Japan Cup” and a powerful full-scale exhibition with 220 successive Mini 4WDs, a development confidential story of Tamiya · Tamiya chairman who must be a fan , The official circuit of 5 lanes used at the convention is also set up at the venue! Besides, it is a venue where adults and children can enjoy, such as sales of event limited mini 4WD and a workshop (fee) that can be produced on the spot. There are a limited number of items in the item.Please forgive me when sold out.In addition, for popular items, purchase quantity of one person We will limit it.In addition, please understand that the item etc. we are announcing may be subject to change. This entry was posted in Event Report, Vintage on September 7, 2018 by admin.